Aim for 81 is my personal agenda for the next few years. 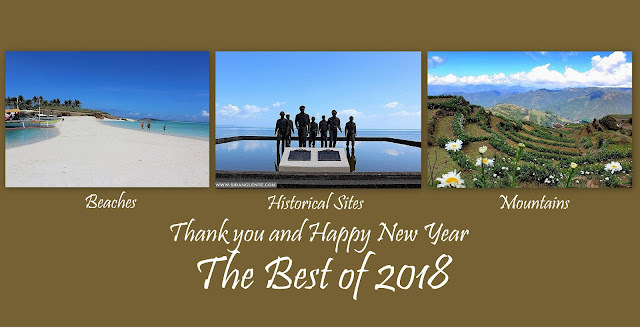 Its main purpose is to Save money to be used for visiting and discovering the hidden treasures that can be found in the 81 Provinces in the Philippines. I totally understand that it will not be as easy as with my previous backpacking but, I will give the entire 2017 for my preparation. I have been visiting most part of North, Central and Southern Luzon, visited several provinces in the Visayas and very few in the Mindanao area. This 2017, since I am based here in Manila, will make sure to visit the nearby provinces in my bucket list, in addition to my current numbers. It will be an expensive plan, but will do my best to do it the cheapest possible way. Visayas and Mindanao will be the challenging part since they are archipelago and really far from Manila. I will be needing more and more and more money for my budget. SPONSORS PLEASE! Such as budget for transportation (I want to experience the service of Philippine Airlines but Cebu Pacific and Air Asia are both great airline option), lodging (the cheapest if possible), backpack (not necessarily 45Liters from The North Face or Columbia), Shoes (I think Salomon, size 8 is a good choice), Camera (I am a Canon and Olympus user but I will be happy for a GoPro as well) and of course to keep my readers updated, I will be needing a smart phone with fast processor and with HD camera (Huawei P9 and Sony Erickson are on the top list). Reading those names again and again makes me smile, for some reason, maybe I am thinking that it’s a huge dream and will be hard to achieve – but I am HOPEFUL. If my Aim for 81 Project will be successful because of these names, WOW!! that’s absolutely a huge gift for my 30 years of existence. I will definitely make sure to contribute and help promoting the beauty of the Philippines using social media. There are 7, 107 islands in the Philippines, for sure Traveling is More Fun in the Philippines.